Greetings, dear readers! 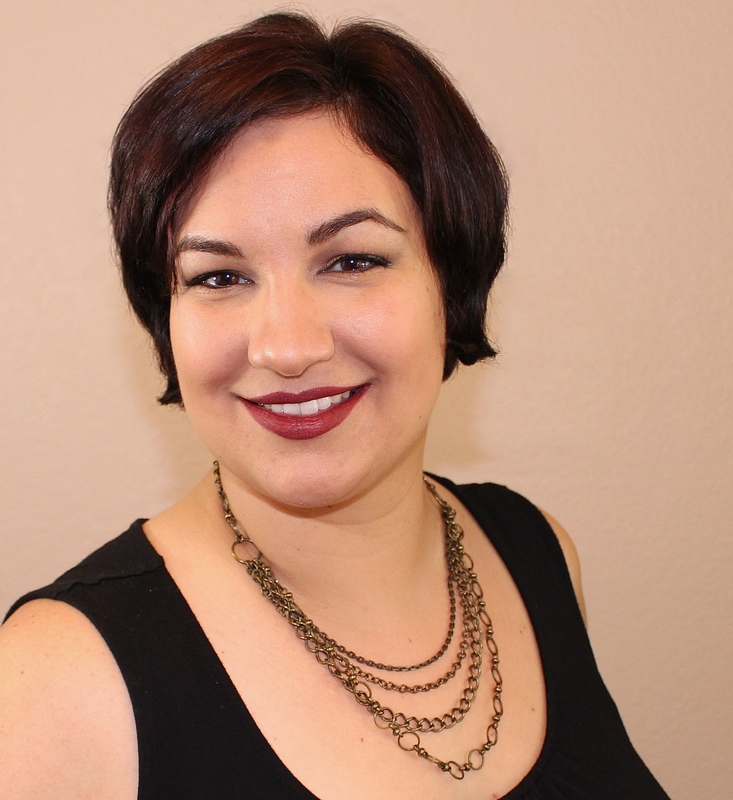 I'm back with another one of my beauty finds from this year's Cosmoprof North America business-to-business beauty event. 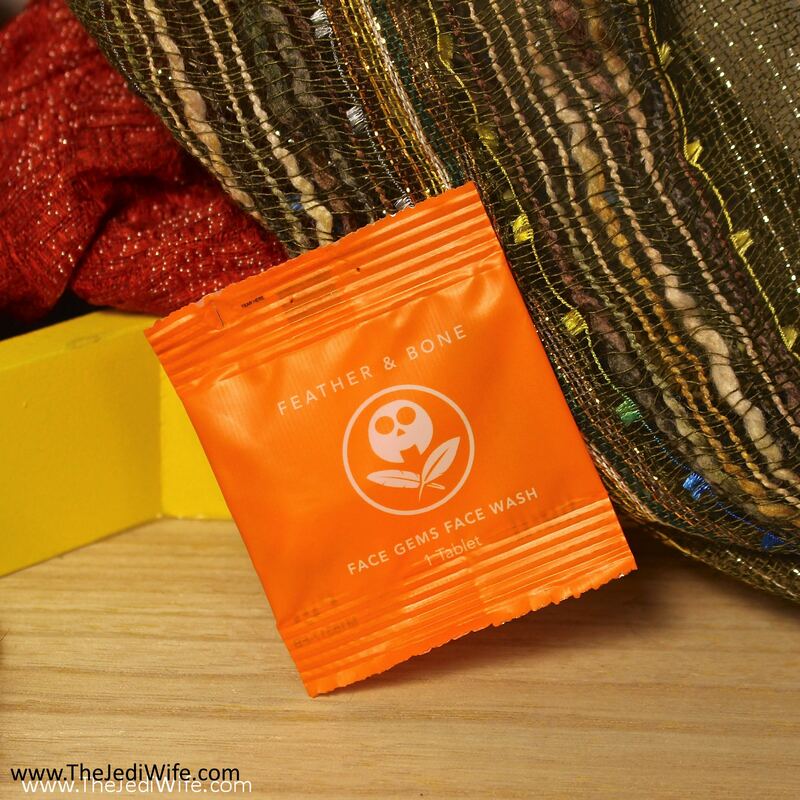 Today's post features Face Gems Face Wash from Feather & Bone. Face Gems Face Wash is a dry-pressed tablet composed of just three Ayurvedic ingredients: sandalwood, fuller's earth, and starch. Each tablet is specially formulated to be the perfect amount for one use, and they are individually packaged to retain their freshness. Due to it being one of the remarkably few ingredients, these do smell quite strongly of sandalwood. While it isn't my favorite scent, I'm not opposed to it either; I just wanted to make you aware of it should you have strong feelings about the scent of this particular tree. These tablets are firmly pressed and can withstand abuse in luggage conducted by airlines, but they also easily work up to a paste with 10 drops of water and a little pressure. 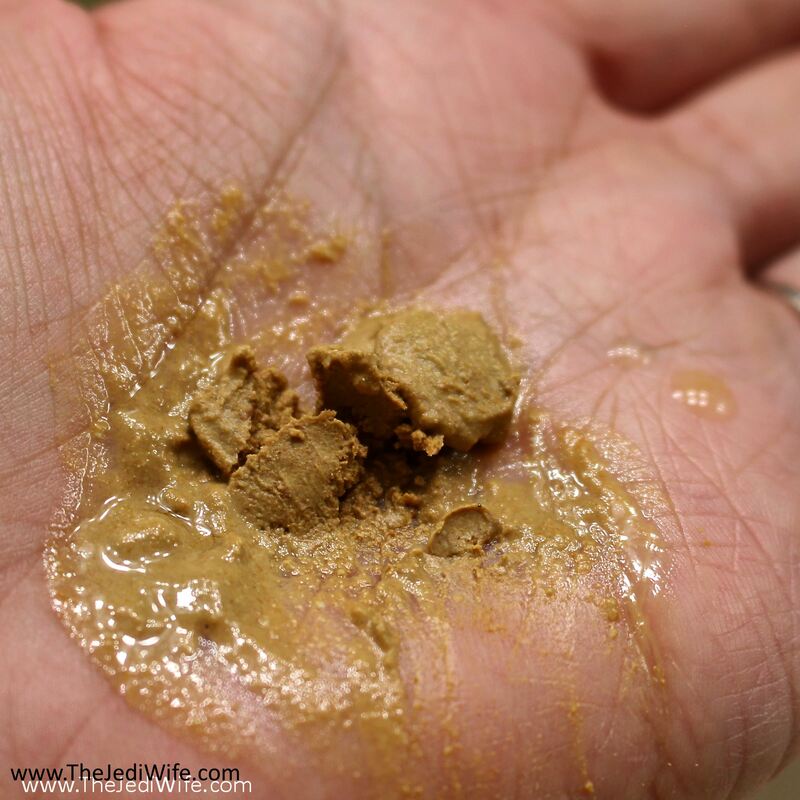 Once the tablet is fully dissolved into this paste, it can then be scooped up and massaged onto your face. You then use water to rinse it off. In spite of using the maximum brand-suggested 10 drops to make my paste, it was far too abrasive for my skin at this consistency. In the end, I opted to dilute it substantially, as is shown in this photo. After rinsing off what remained of the paste, my skin felt smooth but parched. I followed up my Face Gems wash with my normal serum and moisturizer routine, but it was not enough to make up for the natural oils that had been stripped from my skin. The sebaceous glands in my skin went into overdrive for the rest of the day producing more sebum than usual, giving my face a constant oil layer that needed to be blotted off repeatedly. Thankfully my skin situation self-resolved within the day, although not without leaving me a few pimples to remind me of the experience. I wanted to like these Face Gems, especially since they are so conveniently sized and easy to pack for traveling, but based on my experience from one use, I am not a fan of this product. Even with diluting it substantially more than was directed, its exfoliating nature was too harsh for my sensitive skin. Not only did it physically feel uncomfortably rough on my face, it worked a little too well to remove the sebum from my skin. Obviously results may vary and depend on your own person body chemistry, but I can say with certainty that these are not for me. 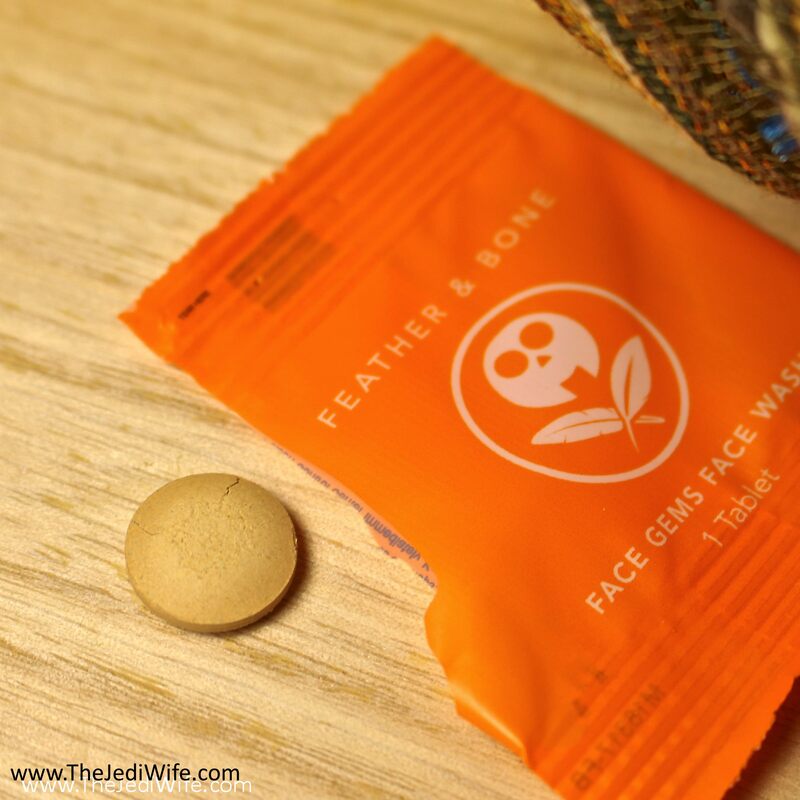 Should you be interested in trying out these Face Gems Face Wash tablets for yourself, they can be purchased at the Feather & Bone website located here. They can be purchased in a smaller 10-piece Jet-Setter pack for $7.99 or in an individual Monthly Pack (60 tablets) for $30. They also have a Monthly Subscription plan for up to 6 months for only $19.97 per month. Have you tried the Face Gems before? I'd love to hear about your experience with these! I've never heard of anything like this unique product. You're right, everyone will have a different experience. But, like you, I have sensitive skin, it sounds to harsh for me. No, I haven't tried this before, but I have sensitive skin, too, so it sounds like it's not for me. I love that you were really honest - I appreciate that. I haven't heard of these or the brand. I do like the compact design for easy travel though. I would still be open to check it out to see if my face would have good results from it. How interesting. I haven't seen something like this before. I would try it out though! I've not heard of these before, but I would be interested in having something similar for when we are going away. I haven't heard of this brand. Bummer that it was too harsh. I prefer gentler exfoliation products for the face. Thank you for the honest review! Thanks for this very honest review. The idea of these is great but as soon as I read the ingredients I had a feeling it wasn't for me. I always appreciate honest reviews like this. I've got sensitive + super dry skin (I need lots of moisturizer even during the summer) so I'm always keeping an eye out for what could work for me. Such a shame you didn't like the product, although I love its convenient size! I haven’t seen anything like this! Interesting! Bummer you didn’t like it but it sounds like a neat idea for improvement! Would be great nonleakable to pack on the go! All the products have a different impact on skins of various types. It depends on what suits you. Nice Genuine feedback about this one. My skin is also sensitive and there are a very few creams that suit me. Well thank you for the honesty! I hate to read review after review about how great ALL products are. I am like, come on you guys, there must be something out there you don't like! Yeah definitely not for me then! And it doesn't seem all that bad to pack in a small facewash tube. I've never seen a face wash tablet before. I have sensitive skin like you, so I have a feeling those won't work for me, either. I appreciate the honest review. I would definetly try Face Gems Face Wash tablets. I will make sure to do a test spot since it was harsh on your skin. If it works for me it will be perfect for travelling. I haven't heard of these until now. I have sensitive skin that can get very dry at times. These would work for some I am sure as we all have different skin care needs. I can't handle sandalwood. My mom used to burn sandalwood incense and it just makes my asthma go crazy. Not for me. What a great beauty product. I love that it's the perfect size for travel! I loveee the idea of this but sounds like it would rip up my face. Lol. Thank you for writing a true review! I not one who likes harsh products on my face, not every product is for everyone. I would love to try this stuff. It looks really great! Thank you for your honest review. Unfortunately, I have never heard about this product. 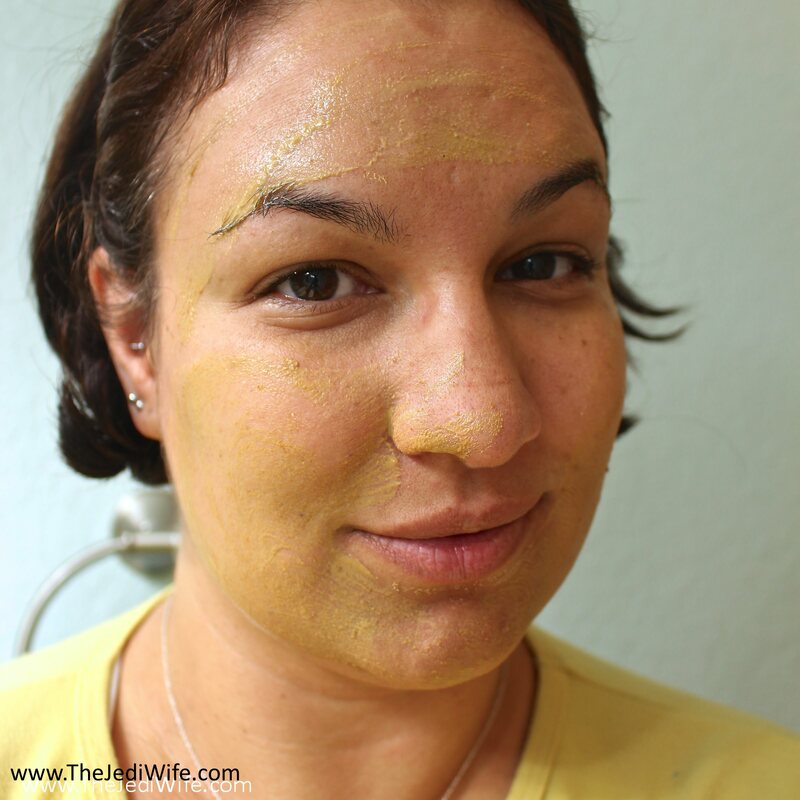 Since i have a very sensitive skin I always try to use more natural products. I can honestly say this is the very first time I have ever seen a face wash like this! I totally need these for our trips since carrying a bunch of different bottles can be heavy and bulky! I like the smell of sandalwood, and these are defo great for travel. But like you, I can't stand harsh grain on my skin; I prefer liquid/cream/gel cleansers to solid or powder ones for this reason. I absolutely love the way that these little tabs are perfectly portioned for each use! Not only does it cut down on waste, it probably saves you money too! Hmm never have heard of Face Gems before. Never have seen something like this. Guess it's good for anyone's face. The Feather & Bone Face Gem wash looks cool. I love the packaging and color too. I'm with you. Face scrubs are not for me. I save them for my hands and feet. It's great to be able to hear some honest opinions, not because it's negative, but having the courage to express an honest opinion. Too often, i only come across bloggers recommending product, but not very often do you see a blogger rejecting one. Too bad it was too abrasive -- I probably wouldn't like it, either. But I do love the concept of the product. How handy for those who travel a bunch!